A couple weeks ago I was looking for a creative way to give my boyfriend a set of keys to my apartment. I searched online for ideas, but didn’t really find anything I liked. Some people suggested hiding the key in food, and one of my coworkers had the great idea of hiding the key in a piñata. I ultimately decided to go with nesting presents. I started out with a small jewelry box and glued on what I thought was the perfect quote for the occasion: “Come live in my heart, and pay no rent,” by Samuel Lover. My printer decided it just couldn’t print anything because it was out of cyan ink, so I hand-wrote the quote. Next I wrapped that box in a slightly larger one, and that box in a slightly larger one, and so on and so forth. I think I ended up with 4 nesting boxes. I’m not sure George knew what to expect when I presented him with a large box on a random day. 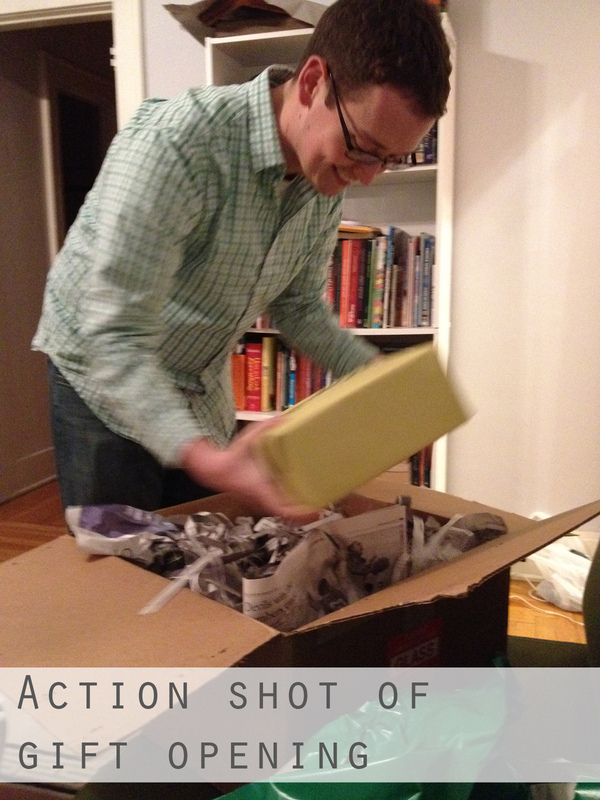 He dutifully unwrapped each layer, laughing incredulously as each box revealed only more boxes. He obviously eventually got to the keys! 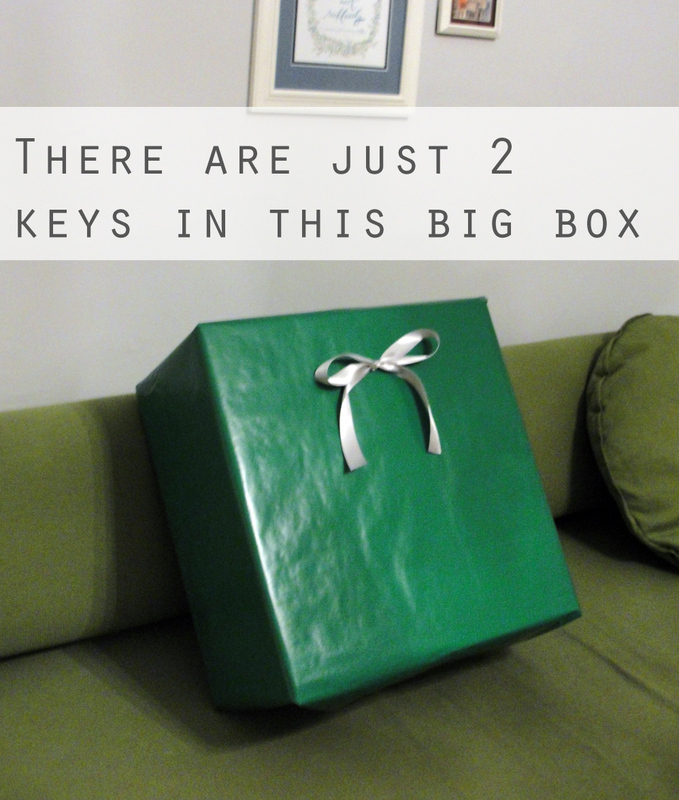 I’m glad I thought of a fun and thoughtful way to gift my apartment keys to my boyfriend. 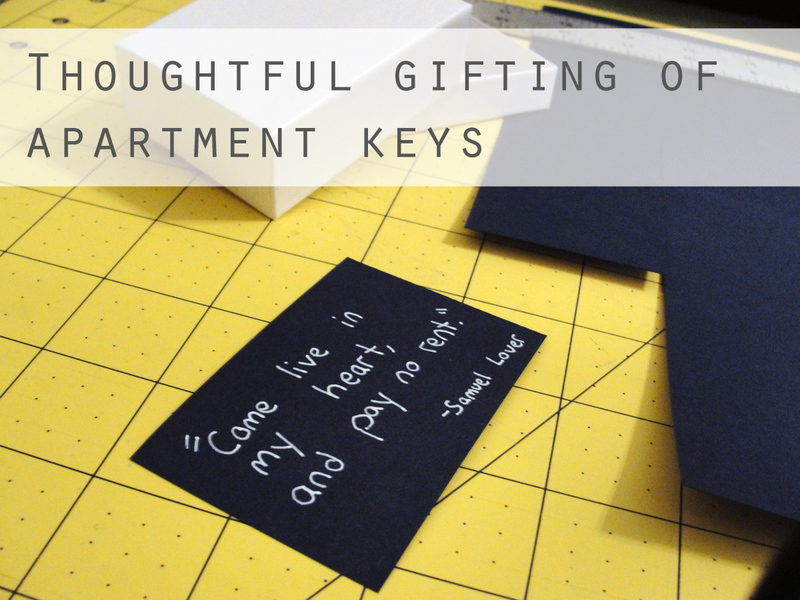 Do you have any other creative ways to give someone a spare key?